Photographer’s Gig: wedding for 21 guests. 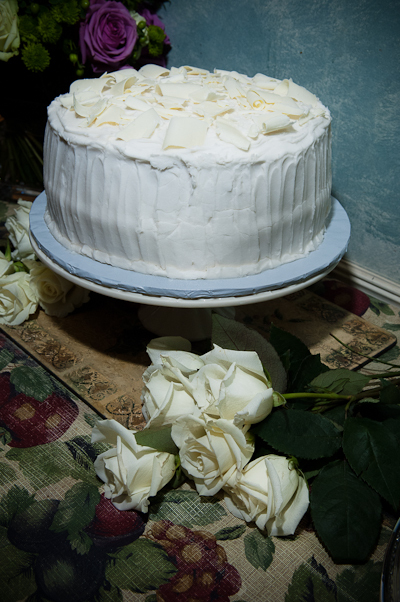 Cake and Arrangement: Le Soleil Catering, Hagerstown, Maryland. Venue: Am Kol Sanctuary Retreat, Poolesville, Maryland. Perhaps in the way of old soldiers — or just old photographers — I’ve kept my gear in ready condition, and for that was able to respond well to the opportunity to shoot a wedding on short notice (seven days). It took a fair part of Sunday, starting with the onset of a cold, to recover. The cold, so I’m happy to note in light of the CLL, did not catch. This entry was posted in Journal, Photography. Bookmark the permalink.